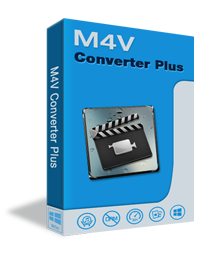 M4V Converter Plus For Win is an excellent iTunes M4V Converter used to convert any iTunes M4V videos to MP4, MOV, AVI, WMV, 3GP, FLV, SWF, MPEG-1, MPEG-2, MP3, AAC, WMA and so on. Support OS: Win 7, Win 8, Win 10. It's free to download and try all the software in m4vconverterplus.com. The trial Version has function limitation. You can only convert the first 1 minute of each M4V video. After purchased a license, we'll send you Registration info to unlock the limitation and get the full version. Copyright © 2008 - 2018 M4V Converter Plus. ALL RIGHTS RESERVED.